Agin my better reckoning, having travailed a vast ocean, I didst watcheth "The Witch". Hearken now, kindred, for the pure and faithful dispensation of mine own findings concerning this motion picture, if my conscience seeith fit to do so. "The Witch" cannot be judged by false horror fanatics, as 'tis a work of the Devil himself to doeth so. 'Staid, thou must abandoneth prideful conceit to appreciate the lacketh of jump-scares, naked dugs, and blood herein this narrative which relieth on nothing save a thing called atmosphere. 'Tis not that such evils be not containeth in "The Witch", but blinketh and thou shalt miss them. Dost thou sayest contrarily, thou might be witched! Verily, Colonnials wilt require subtitles to understandeth the strangeness of the Puritan accents. As anyone who doth hail from South of the Gap of Watford wilt testify, 'tis an ungodly language akin to the sounds of tupping beasts and 'twill be most unpleasant to thine ears. Shouldst thou walkest out of thy movie theatre with thy mind befuddled by gibberish, thou wilt assuredly not be the only one. Fair Mistress Anya Taylor-Joy doth steal every scene. 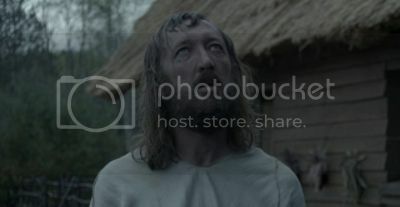 If the deep Northern English tone of Master Ralph Ineson playing Master William dost not set thy nerves on edge, thou might be assuaged by the comeliness of Mistress Anya Taylor-Joy as Mistress Thomasin. Mistress Thomasin art a maiden who playeth on the Sabbath and breaketh all of God's commandments. She knoweth in her shame that she deserveth everlasting 'ellfire, yet has the fairest aspect and golden locks of an angel. Aye, there's the rub. 'Tis oft the case that a fair maiden dost hideth a secret evil, and verily, "The Witch" doth make much of this trope. Attempting to turneth it on its head to please the Warriors of Social Justice who would liken the subtext to a fallacious theorem called "feminism", doth not hold yet a pail of water carried on thy head. Such unmanly posturings haveth no place in this story which reinforceth the traditional superstitions of the patriarchy and doth not seek to quell them. Dost thou wish to oppose that contrarily with a gnashing of thy teeth? Soft now! Thou shouldst asketh thy goat! Comely Mistress Sarah Stephens beest in it for nought but five minutes. Mistress Sarah Stephens beest a more comely wench as the young seductive version of the evil witch in the woods, but her time on screen must be sparse. Nay, not as sparse as the complete lack of a witch in "The Blair Witch Project" (1999), but she dost not speak lest the vowels of her native Australian tongue giveth away that she be nought more than a Victoria's Secret model cast only for her titillating fairness. Thus, of all the maidens in "The Witch", Mistress Sarah beest the fairest to behold. 'Tis not only Master Harvey Scrimshaw as Master Caleb who wilt be fascinated by her countenance and come-hither bosom. Adam's sin have been imputed to all, and a corrupt nature dwelling within, the cast doeth marvellous well with what they have to travail with. Likewise, the cinematography deserveth to be praised for its pridefulness but cannot be due to its oft-times darkness. Doeth the flaws outweigh the good? The opinion beeth by the sword divideth, and there be no consensus among them that art not afflicted by the pox. 'Tis God alone not Man who can tell thee. 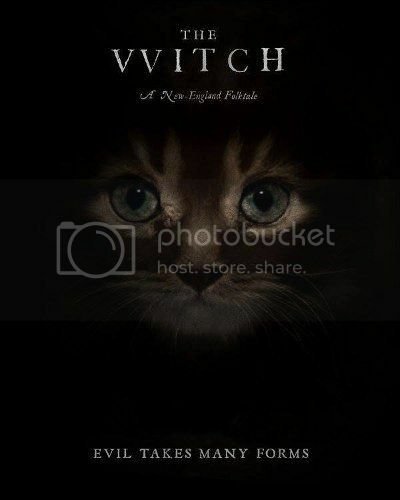 Nay, there beest not cats in this film of witches. Amidst blighted crops, addled eggs, goats bleeding instead of squirting milk from their teats, and with its grief-stricken protagonists in financial crisis, "The Witch" beest more akin to an analogy of modern life in the still recession-hit Colonies rather thanst the historical supernatural tale which it trieth so hard to tell. 'Tis hard to judge if that beest Master Robert Eggar's intent or not, since 'twas all filmed in Canada. There beest irony aplenty in that detail for thee if the Devil hold not fast thine eyelids. Setteth in New England but filmeth in Ontario, "The Witch" looketh the part marvellous well yet falleth short on historical accuracy. Truly, 'tis most odd that in a story of witches, there beest no cats! Even a raven supping from a bloodied teat cannot be substitute for a feline familiar, and thou wouldst be smitten from the fermented juice of windfalls to suggest 'totherwise. Master Robert Eggars hast been ambitious yet too pretentious, and "The Witch" cannot find favour in the eyes and ears of its target audience who didst squander over ninety minutes of their lives being bent out of grace by this arthouse drivel. Writers of Colonnial pulp horror fiction such as auld Master Stephen King ignoreth this problem, and 'tis clear that Master Brian Keene mayeth just be too stupid to understandeth anything. How much wood doth a woodchop chop if a woodchop doth chop wood? For thy scares, there art a stolen unbaptised baby who dost get killed to maketh an unguent for levitation, a dead dog dost get found, a bewitched pubescent boy falleth foul of the art of fascination, and there beest much communing of twin children with the Devil in the form of a goat named Black Phillip (voiced byeth Wahab Chaudhry). Everyone in the accursed family, save the fair Mistress Thomasin, dost dieth. 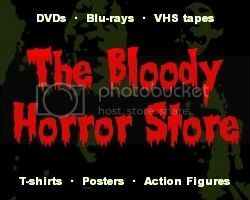 Although there beest blood hereth and thereth, "The Witch" hast no lashings of gore to speaketh of, and most audiences will be boredeth off their dugs. Shouldst thou be looking to be afeared of a moving picture with nought but the talking of goats and wood-chopping Northerners, verily, "The Witch" beest the moving picture for thee. I shall now take my leave and be glad on it.